We have a feeling that the well-known yogurt company Fage based their recent decision to go non-GMO on consumer misinformation around the nutrition and safety of GMOs. In case you missed it, Fage is one of the latest brands to join the Non-GMO Project with a new commercial that recently aired. Responding to a consumer shout out on Twitter asking if its yogurt is non-GMO, Fage announced in the commercial that the brand is now Non-GMO Project verified because it feels right. The trend of consumers voicing their opinions about GMOs on social media is not new. We’ve seen it with Betty Crocker, Stonyfield, and others. Consumer demands, particularly on social media, force brands to take a stand and either counter with education or feed into the fears. In fact, an upcoming panel discussion at this year’s IFT Expo, “The Clash Between Consumer Demands and Responsible Food,” will discuss how consumer demand is more powerful and persuasive than ever before. Often rooted in trying to do what’s “right” or “healthy,” these demands can result in unintended — yet harmful — consequences like increased food waste, fossil fuel usage or threats to food safety. But here’s the thing: While consumers have the right to make whatever food choices feel best to them, not all food choices — and the expression of these choices to brands — are fact-based. The conversation around GMOs is all too often clouded by misinformation, and GMO foods are often demonized despite the fact that they’re safe to eat and sustainable to grow. 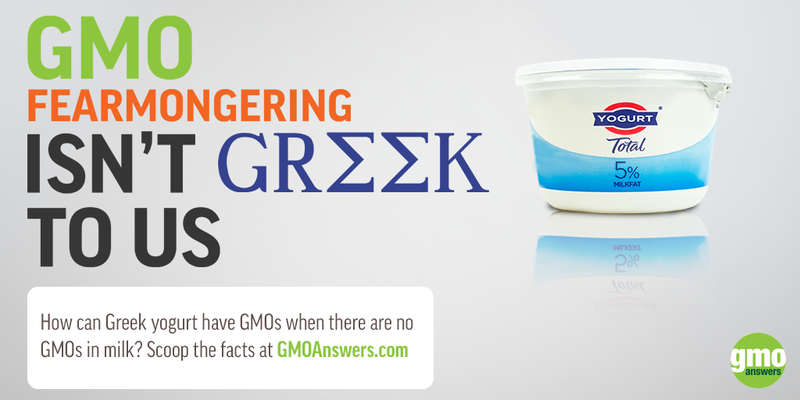 Give in to fear and misinformation, as demonstrated by Fage, Stonyfieldand others. Respond to uninformed consumer demands with scientific facts, as seen by companies like Campbell’s, Betty Crocker, and more. The question is, “which of these options feels right to you?